WASHINGTON — The Polish government intends to finalize an agreement with the US government by the end of the year to buy the Raytheon-made Patriot air and missile defense system, the Polish defense minister said. The initial agreement will cover the sale of two Patriot systems, Antoni Macierewicz told Defense News in a exclusive July 22 interview. And Poland will get more than 50 percent of the work share to build Patriot, something the country was adamant about when defining its terms. Poland's leading state-run defense group PGZ signed a letter of intent with Raytheon to cooperate on Wisla — Poland's new missile defense program — paving the way for the country's acquisition of Patriot missiles, PGZ said in a statement earlier this month. PGZ was set up in 2013 to consolidate Poland's fragmented, state-owned defense industry. The Polish Ministry of Treasury remains the main shareholder of PGZ, but the group is subordinated to the country's Ministry of Defence. Over the past year, Poland has gone back and forth on its decision to procure a medium-range air-and-missile defense system that would provide 360-degree protection. Poland announced in the spring of 2015 that it chose the Patriot system for Wisla. The plan was to buy two Patriot systems in the current configuration, followed by next-generation systems that include the AESA GaN radar and an open architecture that would allow a variety of interceptors to plug into the system. The two initial Patriot systems would then be retrofitted with next-generation capabilities. Also in the Wisla competition were Lockheed Martin's Medium Extended Air Defense System (MEADS), Israel's David's Sling and a French consortium's offering. MEADS and David's Sling were taken out of the running because they are still in development. However Germany plans to sign an agreement with Lockheed and MBDA Deutschland to finish MEADS' development. However, elections last November ushered in a new government, which decided to review all of the recent acquisition decisions of the previous government, including on Patriot. And the government has, all along, hinted that it would consider capabilities for its next-generation system outside of the two Patriot batteries it would initially procure. Poland's new conservative government called into question the previous liberal cabinet's choice of Patriot — estimated to be €5 billion (US $5.5 billion) deal. This gave hope to the other companies with offerings in the Wisla competition. Poland reopened discussions with Lockheed Martin, for instance. Macierewicz said last November during a parliamentary defense commission meeting that the conditions of the potential contract to buy US missiles "have changed a lot since the public announcement." He said he wasn't happy with the price or the potential delivery timeline. Through a translator, Macierewicz told Defense News that a letter of intent with Raytheon was recently signed following conversations that were held during the last six months after his party came to power. The conversations "changed their shape, and if the negotiated commitments by Raytheon will be signed and applied then we are interested in such an agreement," the translator said. 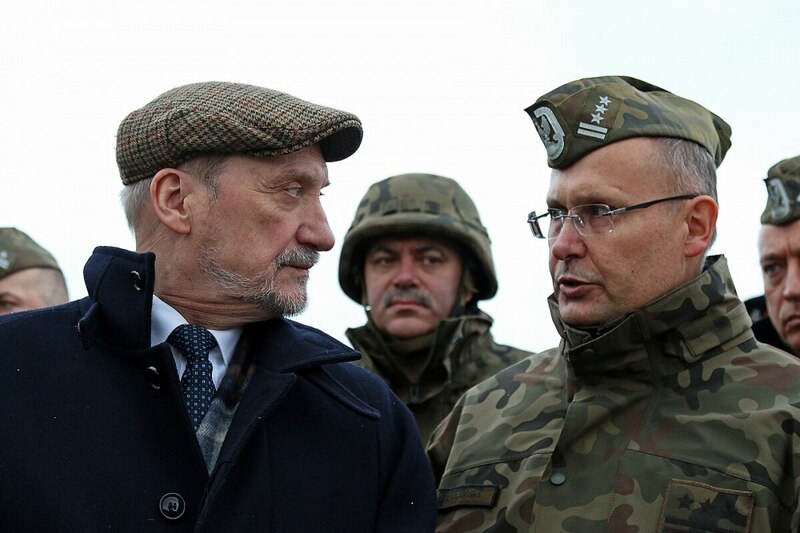 Macierewicz also indicated that while the agreement will cover the sale of two Patriots there is potential for Poland to order more batteries in the future. "We do want to develop an anti-missile defense together with the US, US industry and US Army," Macierewicz said through his translator. "We assume that Raytheon, what Raytheon proposes will then be the basis of equipment for the US Army and our financial capabilities will also be significant. We are perfectly aware of the fact modernization of the system carried out by Raytheon will be, to a huge extent, be done by Polish money and it will serve the Polish Army and the US Army as well." Macierewicz said Poland's plans to procure a new short-range air and missile defense system — the Narew program — through a competition is also separately underway. Aaron Mehta in Washington contributed to this report.